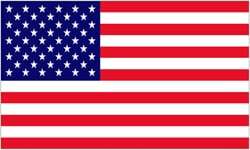 The country of Merica is a nation led by President New-World-Ordwe on the continent of North America. The country of Merica's government is a Dictatorship with very moderate social policies. Economically, The country of Merica favors moderate policies. The official currency of The country of Merica is the Dollar. At 90 days old, The country of Merica is a mature nation. The country of Merica has a population of 793,340 and a land area of 14,500.00 sq. miles. This gives it a national average population density of 54.71. Pollution in the nation is almost non-existent. The citizens' faith in the government is at an all-time high with an approval rating of 100%. 04/17 11:09 pm - Merica had war declared by Democracy of Egypt for the reason of "Dead men taste like chicken.". 04/17 04:49 pm - Merica had war declared by Aesiir for the reason of "Luke... I am your father.". 04/17 02:15 pm - Merica had war declared by Socialist America for the reason of "Say hello to my little friend!". 04/09 07:42 pm - Merica had war declared by Socialist America for the reason of "We don't like you". 04/09 06:18 pm - Merica had war declared by Fortnum for the reason of "You're a disease, and I'm the cure.". 04/09 12:15 pm - Merica had war declared by Hispaynua for the reason of "Inactive. PM for peace". 04/01 06:14 am - Merica had war declared by Sherifian Empire of Morocco for the reason of "Inactive Raid...PM for peace.". 04/01 06:02 am - Merica had war declared by Greater Malaya for the reason of "War. War is profit.". 04/01 05:54 am - Merica had war declared by German Defense Core for the reason of "We don't like you". 04/01 04:36 am - Courier Six removed New-World-Ordwe from the alliance Guardians of the Galaxy. 02/16 06:24 pm - founded a new city, San Fransisco. 02/16 06:21 pm - founded a new city, St. Louis. 02/16 06:19 pm - founded a new city, Seattle. 02/16 06:15 pm - founded a new city, Nashville. 02/08 04:00 pm - Merica declared war on Patriotic States of America for the reason of "Gib me all ur moneyz". 02/06 04:15 am - Merica declared war on Prussiantinia for the reason of "Get off my plane.". 02/06 04:09 am - Merica declared war on CobraToina for the reason of "Do you feel lucky, punk?". 02/06 02:25 am - Merica declared war on Federal Union for the reason of "I couldn't come up with anything better than the default". 02/05 06:18 am - Merica declared war on AquaFish for the reason of "Arrgh!". 02/05 06:17 am - Merica declared war on Jerrylandia for the reason of "We have come to liberate you". 02/04 05:30 pm - Merica changed their Color Trade Bloc from Green to Lime. 02/04 05:28 am - founded a new city, Dallas. 02/04 05:20 am - Merica declared war on Rock village for the reason of "Do you feel lucky, punk?". 02/04 05:17 am - Merica declared war on AmeriCandy for the reason of "You brought this on yourself". 02/04 05:13 am - Merica declared war on The great Republic f Finland for the reason of "I will have vengeance.". 02/03 06:09 am - Merica declared war on The Confederacy for the reason of "Gib me all ur moneyz". 02/03 06:08 am - Merica declared war on toad farm for the reason of "We like taking candy from babies". 02/03 02:37 am - founded a new city, Los Angeles. 02/02 02:18 am - Merica declared war on Wrecking Ball for the reason of "Arrgh!". 02/02 02:16 am - Merica declared war on theNewWorld for the reason of "Dead men taste like chicken. ".